Nina Rumen was born in 1927 in what was then Poland, and which is now Belarus. In 1930, she "brought her mother to Canada" to join her father, who had immigrated earlier to the Fernie/Cranbrook area of British Columbia. She is the eldest of four surviving daughters. 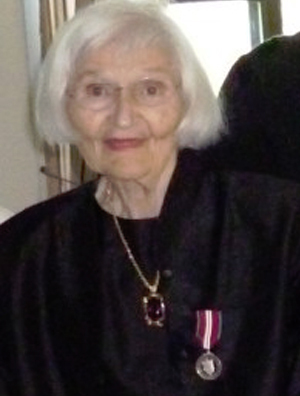 She graduated from St. Paul's Hospital School of Nursing in Vancouver in 1949. She joined the Royal Canadian Army Medical Corps (RCAMC) in 1951. Her military career took her to Churchill Manitoba (1952-54) when Canada's north was opening up. From here she went to Isherholm, Germany with the British Army of the Rhine and then to Lahr, Germany. She served with NATO from 1970-72. Nina completed her Bachelor of Nursing from the University of Toronto. 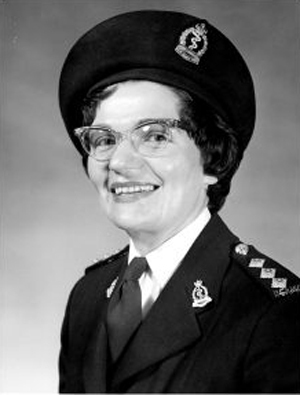 Following retirement from the services, she moved to Vancouver, whereshe worked on short-term contracts with various agencies. Most of the six centimeters of records date from the early 1950s. Training materials for RCAMC Nursing Sisters include notes on teaching techniques, the science of education, lesson plans, an obstetrical manual, and a syllabus used for training RCAMC sisters. Other records include a Royal Canadian Air Force Passenger Flight Authority slip, responses to a medical nursing exam and a study guide with handwritten annotations. Our mission is to discover, disseminate, and preserve BC's nursing history. In 1989 interested registered nurses banded together and formed the B.C. History of Nursing Professional Practice Group under the umbrella of the Registered Nurses Association of BC (now the College of Registered Nurses of BC.) In 2008 the organization became registered under the Society Act of BC and is now known as the B.C. History of Nursing Society (BCHNS). The archives is open by appointment only as it is staffed by a part time archivist and volunteers.